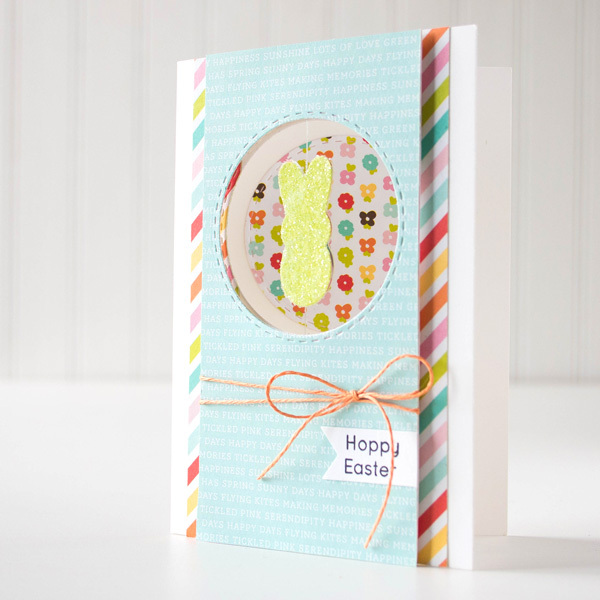 Home | Blog | Favorite Peeps: Our March Card Kit Reveal! 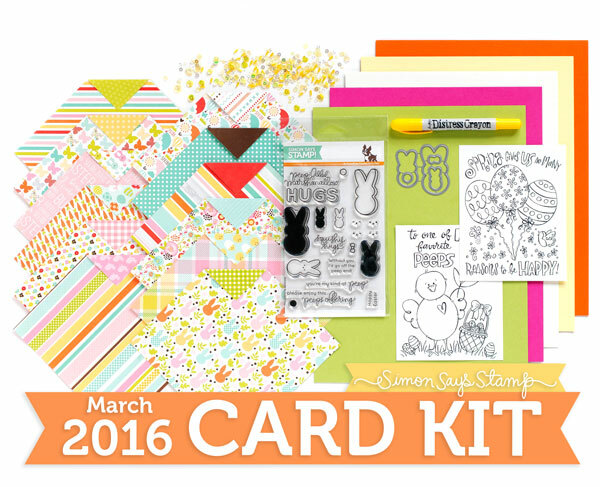 Favorite Peeps: Our March Card Kit Reveal! Happy Valentine’s Day everyone! Not only are we sharing a special day with our loved ones, but we’re also revealing our Monthly card kit: Favorite Peeps! 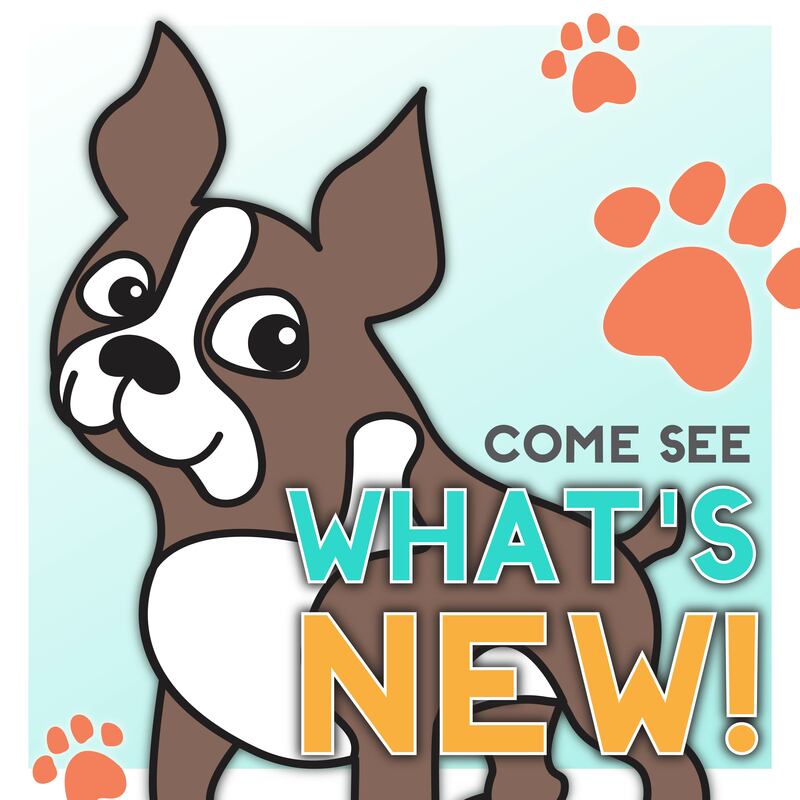 We have several very special things for you this month! 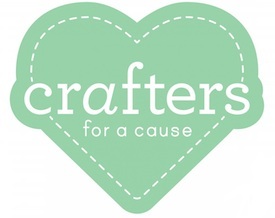 Purchase the kit and receive matching dies for the stamp set My Kind of Peeps. and one (random from the brights #1 set) Tim Holtz Distress Crayon. There are also two whimsical Spring themed Watercolor Doodle cards inside by Suzy Plantamura (Exclusive to the kit). 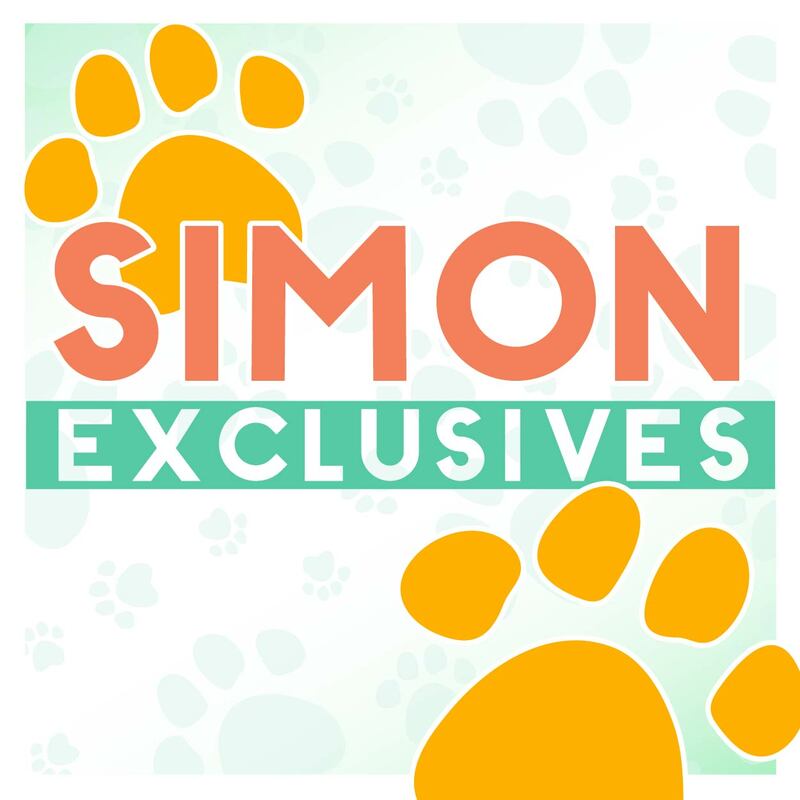 Enjoy 12 double sided 6×6 papers from the Echo Park Spring collection and five sheets of Simon Says Stamp 100# card stocks (Lemon Chiffon, Orange Peel, Green Apple, Doll Pink and Ivory.) To top it all off, the kit has a beautiful pack of mixed sunshine yellow sequins inside. I’ve created a spinner card using one of the peep dies using our Stitched Circle dies. I’ve coated my peep with Rock Candy Distress Glitter for some sugary goodness! 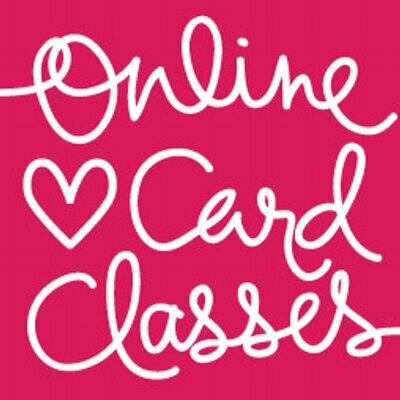 I’ve shot a video of the walk through and full instructions on how to make my card. 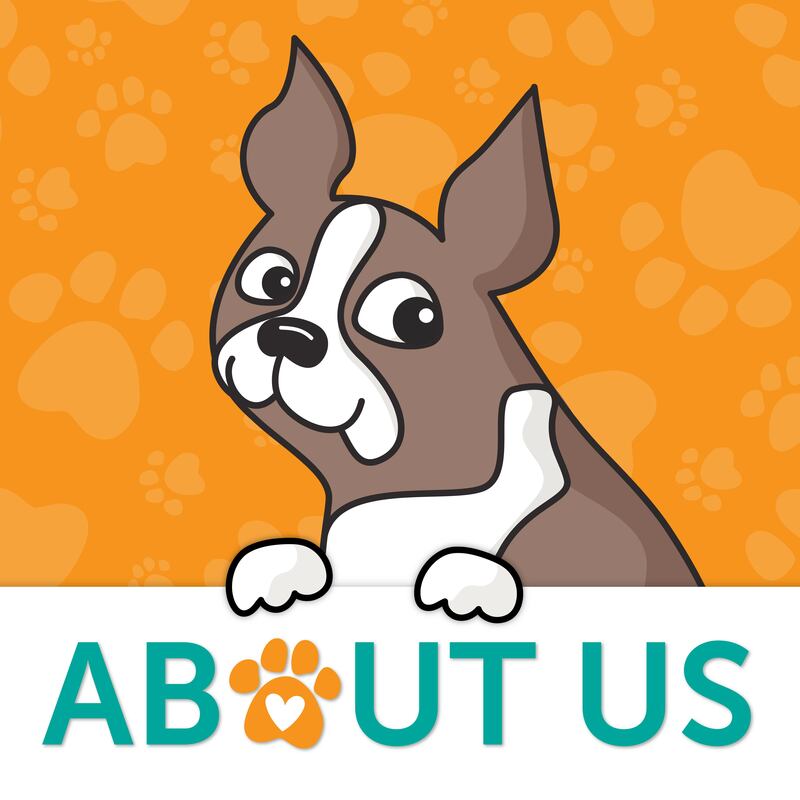 You can view it below or on our YouTube channel. 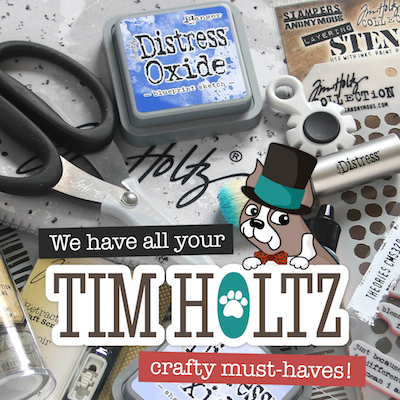 As a bonus today, I thought it might be handy to show you how the brand new Tim Holtz Distress Crayons work. They are really special and only Tim shows it best. The crayons are available in a set as reserve in our store. That means, if you order a set now, as soon as they are released from the manufacturer, the set will ship out the door to you first in line. The My Kind of Peep Stamps and matching die set are also available for individual purchase or as a set in our store. Thanks for taking time out of your Valentine’s Day to visit, I hope you enjoy! Fun kit! 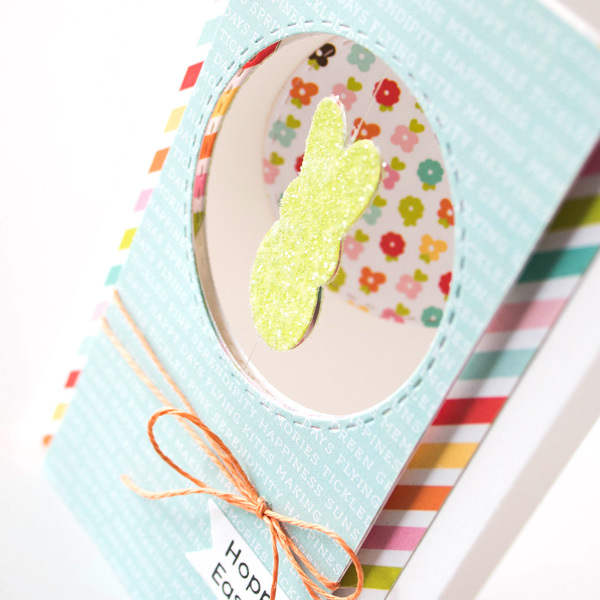 I love the Peep card and the card on Wanda’s blog–so cute! What an awesome kit, love your spinner card, super cute and fun! Cute spinner card – love it! And love that bunny and those beautiful papers. Looks like a fun kit! This little bunny peeps is so cute and much better for you than the regular kind. :) Love the beautiful spring colors in this kit! Such a fun kit! Love the rock cany peep! Wow very fun and cute kit! Shari, this card is so adorable. My daughters, even in their forties, love Peeps. Any shape, any color. Today they were pink hearts. Thanks for sharing! This is so cute!! I LOVE the fun spinner!! what a fun card. . . .
Lovely kit, as always! So glad to see you’ve included the coordinating dies! Lots of goodies to play with :-) Thank you! What a cute card! Love the spinner! This kit looks fantastic – so many goodies in it!! An amazing value this one is! So cute, Shari. Love the spinner! You had me at hot pink… then I saw those sugary peeps. Squeal! The bunny is adorable!! Super cute! I can’t wait to get my kit!!! I love this one so much! 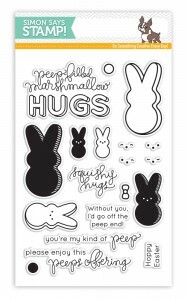 I love Peeps (the marshmallow) and can’t wait to get Peeps the kit! So cute!! I love Peeps! I am so excited about this kit! Each time that I look at it I notice something new! 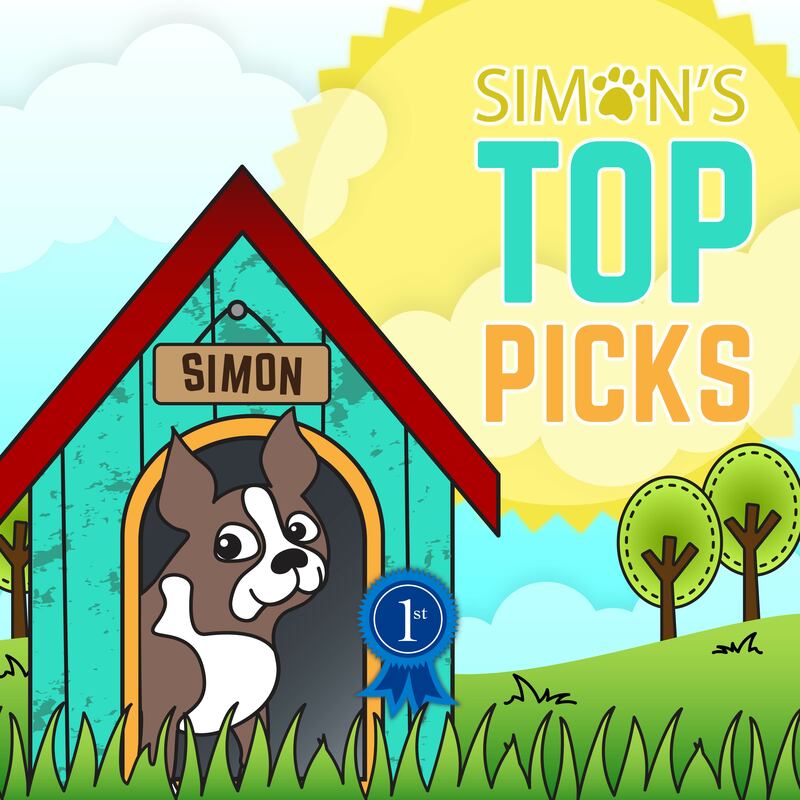 Love the stamps, the dies, and the crayon! Awesome kit this month! Charming as always…can’t wait to receive my kit! Is there any way you can get a hold of a 2016, My Peeps Stmp set? Can I still get the peep stamp set? 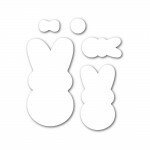 Tring to get the 2016 My kinda Peep stamp and die set. Is there any way I can? I can’t believe I missed this. I love Peeps, have several items in my collection. Thank you!